Augsburg’s Information Technology organization advances the mission of the University by providing an online framework which has become an important component of our vibrant, modern learning community. Much like city planners who organize the resources of a physical community, Information Technology (IT) works closely with the university community to plan, build and support an online framework for Augsburg upon which we communicate, enroll, learn, teach, research, and manage. 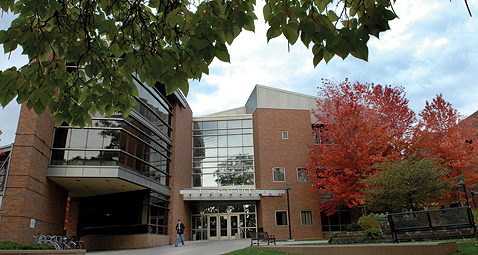 The Information Technology Department of Augsburg University provides Computer and Telecom support for current Students, Faculty, and Staff of Augsburg University. In an effort to provide the most effective technical support the User Support Team is composed of Student Computing, Academic Liaisons, and Administrative Liaisons. Faculty and Staff members of Augsburg University are assigned a Liaison For Computing who serves as first point of contact for technical support and pedagogical technology support. Departmentally configured, each Liaison For Computing (LFC) has specific talents organized around the departments they support.